Booklet. 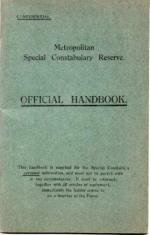 The object of this Handbook was to give Special Constables elementary instruction in the duties they were likely to be called upon to perform. The 'Specials', when actively employed, had the same powers as the 'Regular' Police - acting as an auxiliary force to the Regular Police. With Table of Contents and Index. 64pp. 16mo. 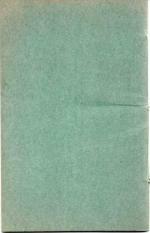 sewn binding booklet. F. with no creasing or fading to covers. Extremely Scarce.